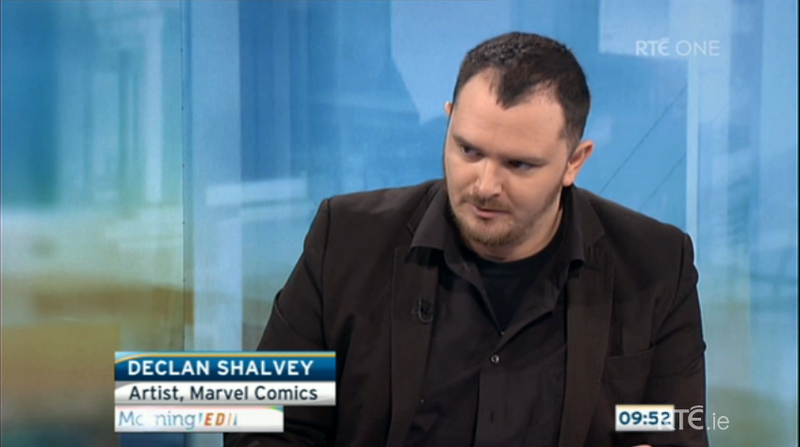 Hey folks, if you live in Ireland and are near a TV on Friday morning, tune into RTE ONE around 9.00AM where I'll be discussing Irish Comics along with Lightning Strike editor Eoin McAuley. It will also be streaming afterwards on the in the RTE Player later in the day. Also, the lecture in Trinity that I was part of last week was recorded by the good folk of the Irish Pubcast. See here to listen to the panel and Q and A in full. It was good fun. An interview with VENOM writer Cullen Bunn went online today where he talks about what's still to come in our 'Toxic' arc. 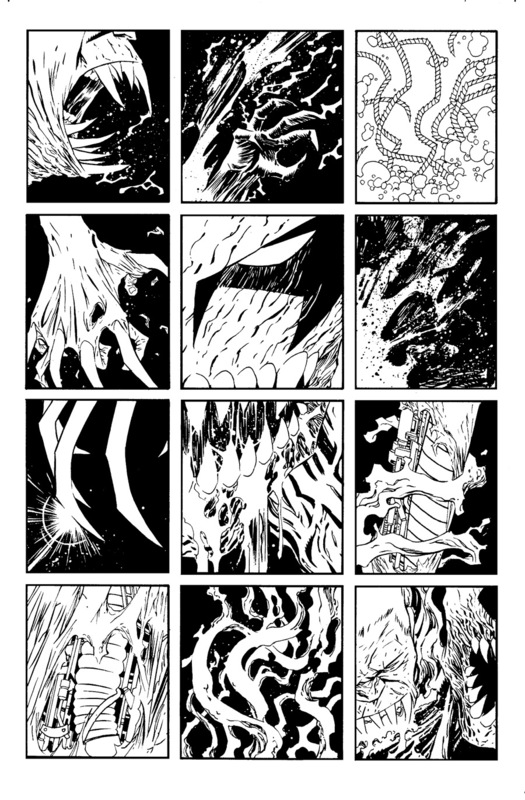 Some preview pages with the piece too, make sure you check it out here! 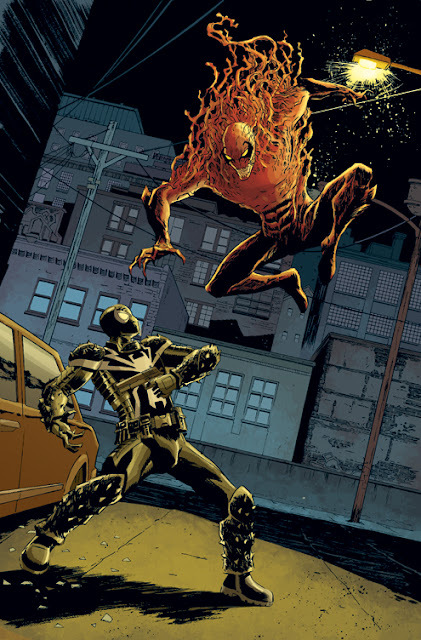 Marvel Solicitations went online today, among them was a new cover I drew for VENOM. Coloured by Jordie! In case you didn't know, March is Irish Comic Book Month. Hope everyone supports some Irish comics this month! 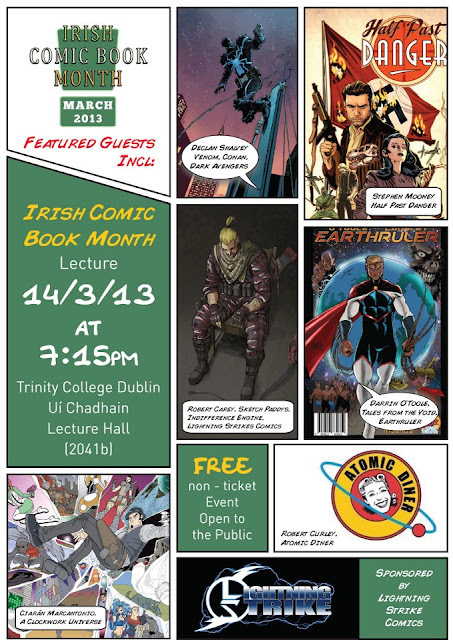 To celebrate this, the good folk at Lightning Strike and Atomic Diner are holding a talk discussing Irish Comic Book production. Guests include myself, Stephen Mooney, Robert Curley, Darrin O'Toole, Robert Carey and Ciarán Marcantonio so a wide spectrum of Irish comics are covered; from those working in mainstream comics, to creator owned comics, to self-published comics, etc. The Lecture will be hosted in the Trinity Arts Building, Room 2041B, The Uí Chadhain Lecture at 7.15pm. Free for all to attend; just make sure you get there early as i believe places are limited. Hope to see ye there. 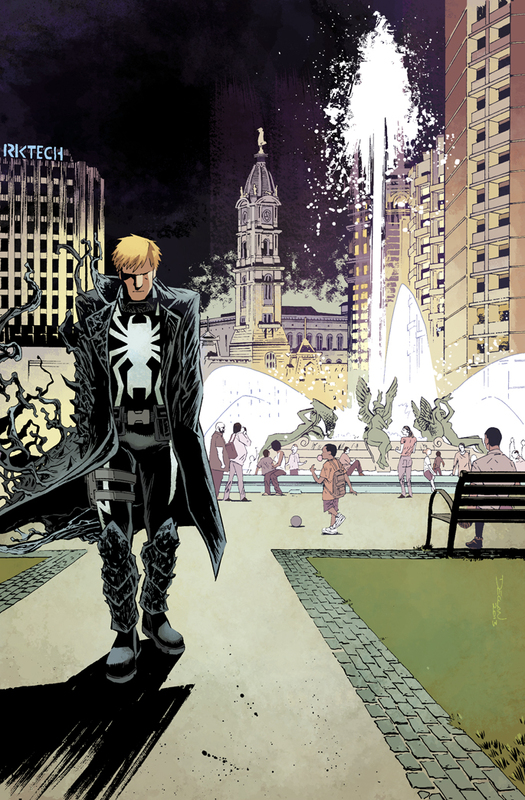 Yes, #32 of Venom is out tomorrow! Make sure you pick up a copy at your local comic shop of via Comixology. Things get more complicated for Flash in his new digs. See come coloured and lettered preview pages by Lee Loughridge and Joe Caramagna here. 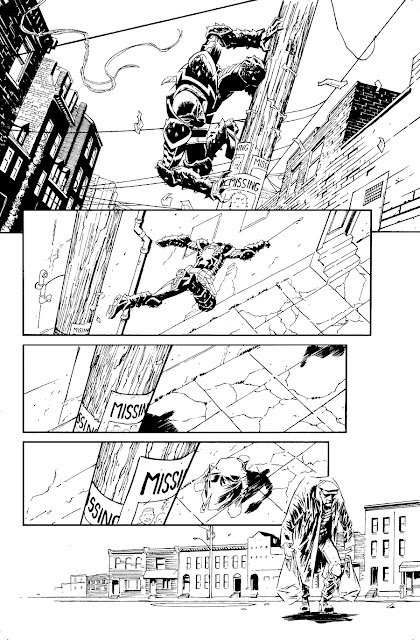 Also out tomorrow is Winter Soldier #16 by Jason Latour and Nic Klein (preview here). I drew the cover for it, so pick that up too!